Richardson is from Anguilla, a British overseas territory in the Leeward Island chain of the Eastern Caribbean. She completed her undergraduate degree at Morgan State University. 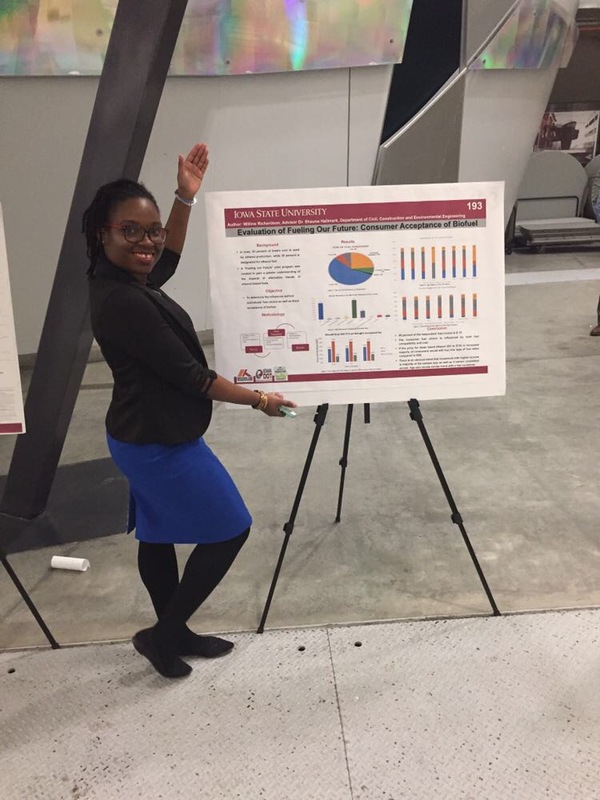 When she starting looking for master’s programs, the civil engineering projects and faculty at Iowa State grabbed her attention. Richardson shows her hard work at the most recent ISU CCEE Graduate Student Research Showcase. Photo courtesy Richardson. 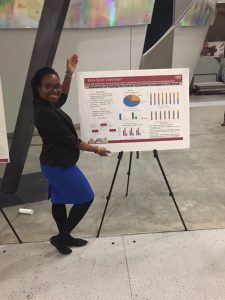 While at Iowa State, she has competed research on projects involving work zone safety, driver behavior and biofuel at the Institute for Transportation. She has been active in Tau Beta Pi and setting up the Morgan State Chapter of Chi Epsilon. She’s also squeezed some time in for a favorite Iowa pastime. “I recommend anybody who comes to Iowa, make sure to be here during an Iowa State game,” she says. Note: In May-July 2018, Iowa State University College of Engineering Communications is setting out to find the top reasons why graduate students choose to pursue their educations at ISU CCEE. “Engineer at ISU CCEE” is a video/written series featuring graduate students from ISU CCEE. Each student shares his or her unique reason for choosing Iowa State. Find out about the student experience at ISU CCEE by following us on Facebook, Twitter, and LinkedIn (Iowa State University Civil, Construction and Environmental Engineering and ISUConE).